Hello! 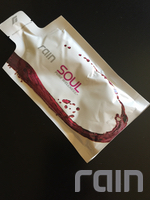 In today’s post I want to tell you about Rain CEO Byron Belka. 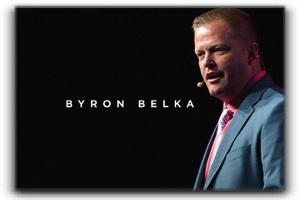 Mr. Belka is a champion in the direct selling world. His singular career in the industry began long before he ever bought his first starter kit or even knew what a compensation plan was. As a boy, he was taught the significance of hard work and thrift by his parents. He began his career in network marketing over 13 years ago. It was the freedom that this business model offered that attracted him. The absence of a boss and the power to self-motivate let him to flourish and climb the ranks of an already-established company at an unusually fast rate. He has continued this climb and eventually broke through the diamond ranks and ended up as a prominent executive, serving as CEO of Rain International. Mr. Belka is a sought-after speaker. Every opportunity to hear from him is a compelling experience. He is a well-liked friend and supporter of everyone he comes in contact with, and those who have associated with him can deeply feel that. He truly remains a distributor at heart, which is why everything he does is geared toward helping, lifting, and changing our distributors lives long term. His exciting vision is big and bright for Rain International, and his goals and work ethic match this vision. The important thing to him is becoming, what he calls, an influential figure. One who changes history for those who come after, to impact their lives for the better. He is an outstanding man to have at the helm of an organization that is growing quicker than ever imagined, and he’s not about to take his foot off the pedal. The content on this site is provided for informational purposes. It is not to be a a replacement for experienced medical guidance or care. You should not use this information to diagnose or treat any health problems or illnesses without consulting with your health care provider.